This is a big deal! I’m one of those entrepreneurs who is always overly optimistic and excited about new things. But, in this case, there’s no hype. THIS TRULY IS A BIG, BIG DEAL! easier for local entrepreneurs to raise capital! We’ve been talking about the future of capital raising for Louisville area startups for quite a while, and the future is finally here! As far as I know, this is Louisville’s first official Regulation CF crowdfunding effort, and Cuddle Clones has taken the lead in making it happen. Now we need your help! Post this page anywhere you can! Tell everyone you can! Cuddle Clones is making Louisville startup history! 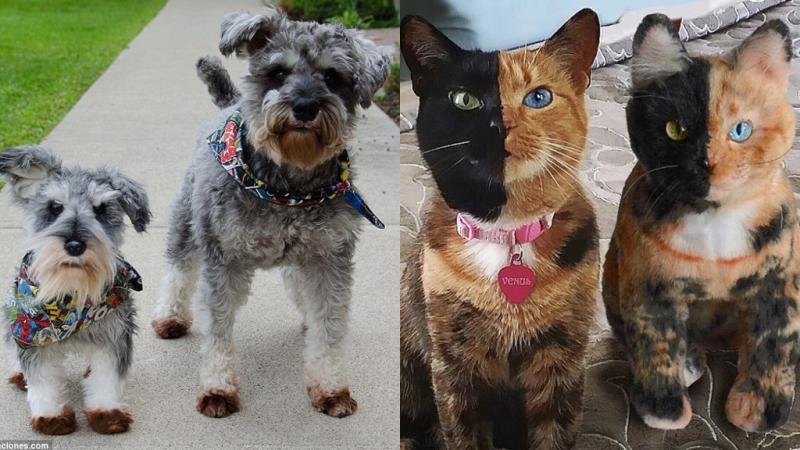 Cuddle Clones already made world history by creating the only scalable company that allows you to order online and create a lifelike replica of your pet (https://cuddleclones.com/). Now, they just made Louisville history by becoming the first Louisville area company to sell equity in their company to the general public under the new Regulation CF crowdfunding laws. These laws allow a company like Cuddle Clones to sell equity in their company to ANYONE for as little as $100 minimum investments. This method of startup fundraising is the way of the future. It will help Louisville get more startups started and let a lot more local people share in the profits! 1. Donation-based crowdfunding like Kickstarter has been around for a while. Recently, the SEC laws changed to allow equity crowdfunding. 2. Regulation CF crowdfunding allows a company to raise up to $1,070,000 per year by selling shares of their company online. 3. In the past, with small exceptions, only accredited investors (rich people) were allowed to invest in startup companies. Regulation CF capital raises allow ANYONE to invest. 4. This type of crowdfunding allows investors to invest as little as $100 in a startup, making it possible for a LOT of people to afford. Statistically, the average angel investor in the U.S.
makes a 27% annual return on investment. This is the future of capital raising for startups. Regulation CF crowdfunding in the U.S. since 2016 recently surpassed $100 million, and it continues to grow fast. This type of fundraising will make it easier for Louisvillians to invest small (or large) amounts in multiple startups and move toward the 27% returns. It also will allow investors in our area to share the risk among a lot more people and help more startups get funded – even the very early idea-stage startups. This will generate more startups, more jobs, and more wealth for our entire metro area! Currently, we have two companies that are utilizing crowdfunding, and WE NEED YOUR SUPPORT! 1. Cuddle Clones is raising funds with a Regulation CF exemption, allowing them to publicly raise capital for investments as low as $100 from ANY investors (accredited or non-accredited). 2. Another local company, Blue222, is raising funds using the Regulation D 506c exemption. This allows the company to publicly raise capital but from only accredited investors. (Regulation D 506c also is a new form of crowdfunding – made legal in 2013. Blue222 is the first Louisville area company to utilize this type of crowdfunding).